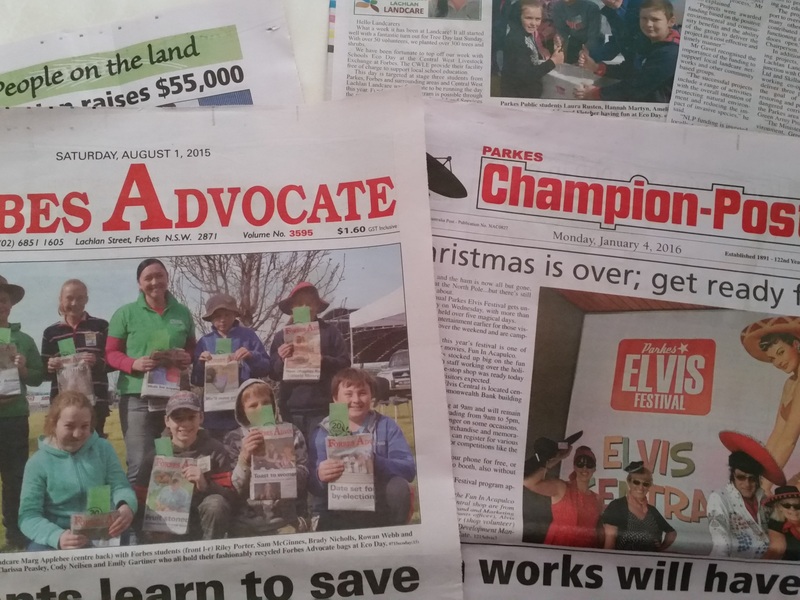 Have you checked out the current ‘Landcare In Focus’ newspaper? Copies are now available from the Central West Local Lachlan Landcare Office, or click here. The current paper has a focus on biosecurity, feral animals and invasive species, with some interesting articles on carp, wild dogs and rabbits, fencing strategies, weeds and much more. Speaking of invasive species, the NSW Government has allocated more than $11 million in funding for weed management throughout the State. Regional strategic weed management plans have been established to set the vision for weed management over the next five years. The plans address key biosecurity risks at a regional level and propose strategies and actions aligned with the Biosecurity Act 2015 to commence mid 2017. 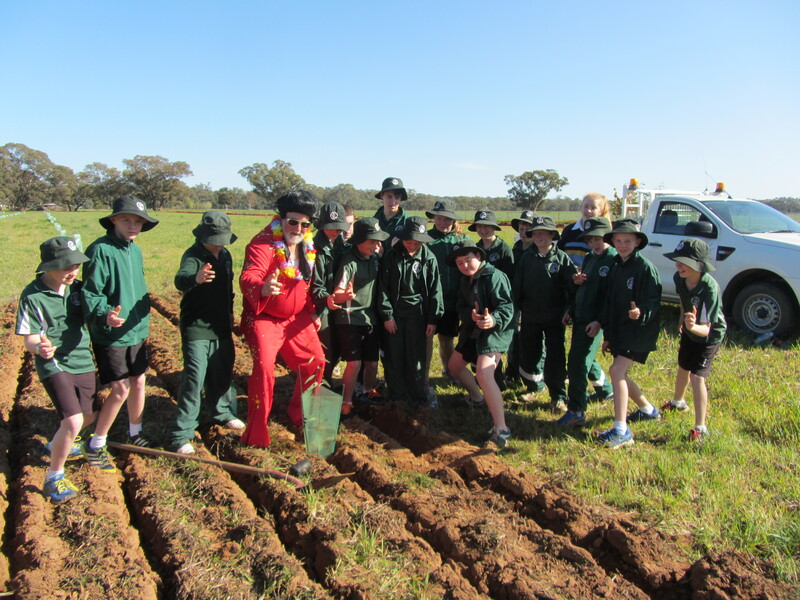 The Central West Regional Plan has been developed collaboratively through regional weed committees and alongside Local Land Services, established strategies and actions to achieve goals that focus on shared responsibility for weed management, sustainable landscapes and collaborative leadership and innovation. The plans will guide resource allocation and investment in the region and provide a consistent basis for regional planning and delivery. Key aspects of Regional Strategic Weed Management Plans include: weed management in the region; weed risk assessment and prioritisation; plan Implementation; and measurements of success. Download the Central West regional plan, read through the factsheet and frequently asked questions and have your say about the shared responsibility of weed management. The plan will be on public exhibition until 29 March 2017. Go to the Central West Local Land Services (CWLLS) website for more information. Staying with the CWLLS, in May 2017 enrolled ratepayers will vote to elect three local board members (or four in the Western region) to join 11 regional Local Land Services boards. Ratepayers must enrol before being able to vote in the Local Land Services board elections. More information regarding the 2017 elections is available to read in the Frequently Asked Questions and 2017 Fact Sheet. You can inspect our regions electoral roll or enrol online or complete an enrolment form at your nearest Local Land Services office up until 31 March. You can also download a pdf enrolment form, print and return. If you have already enrolled to vote in Local Land Services elections, you do not need to enrol again. Have you thought about nominating a candidate? If you are a ratepayer in our region, you are eligible to nominate a candidate, including yourself, for election. Anyone 18 years of age or older can be nominated for elections provided their normal place of residence is within the region. Nominations for candidates close 12 pm 10 April 2017. All enrolled ratepayers who have supplied an email address will be emailed instructions for online voting. However, there will be an option to receive postal ballot papers. Ballot papers will be posted to all other enrolled voters along with instructions. Voting closes at 5 pm 31 May 2017. I want to keep two upcoming events fresh in your mind. The National Parks Association walk on 18 March, which covers the Bumberry Dam to Lake Endeavour Loop. This is an easy 8km walk. For more information, click here. 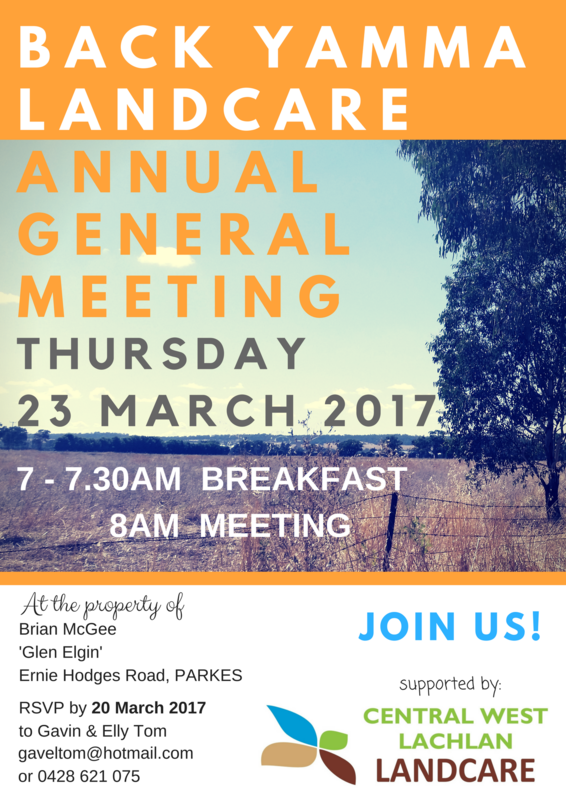 I also wanted to mention again, the upcoming Back Yamma Landcare Annual General Meeting on 23 March. If you have been involved in the past or would love to find out more, join us for breaky at 7am, followed by the AGM at 8am. RSVP to Gavin or Elly at gaveltom@hotmail.com or 0428 621 075. For further information on the services and contacts listed above, follow the links on our website at centralwestlachlanlandcare.org, facebook or on 02 6862 4914. Until next week, happy Landcaring!